Global Brands Group eCommerce (powered by LamaLoLi) is Europe’s No. 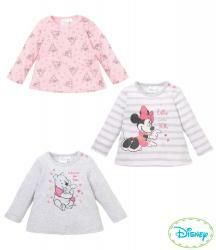 1 licensed apparel wholesaler; and home to stylish clothes featuring over 70 original licenses such as Mickey & Minnie, Disney Cars, PJ Masks, Hello Kitty, Spiderman, Star Wars, Disney Frozen & Co. Whether you’re looking to kit out babies, kids, or teenagers, our online shop has something for everyone. Discover a wide assortment of comfortable and colorful clothes, accessories and home textiles including some of our favourites. We are the online specialist in high quality baby and children's clothing and cater to small and medium sized apparel retailers, boutiques, online sellers, market traders, children apparel distributors and exporters, hence we offer competitive trader prices and best selling designs. © 2006 - 2019 GBG.com or its affiliates. All rights reserved. GBG and the GBG logo are trademarks of GBG.com or its affiliates.